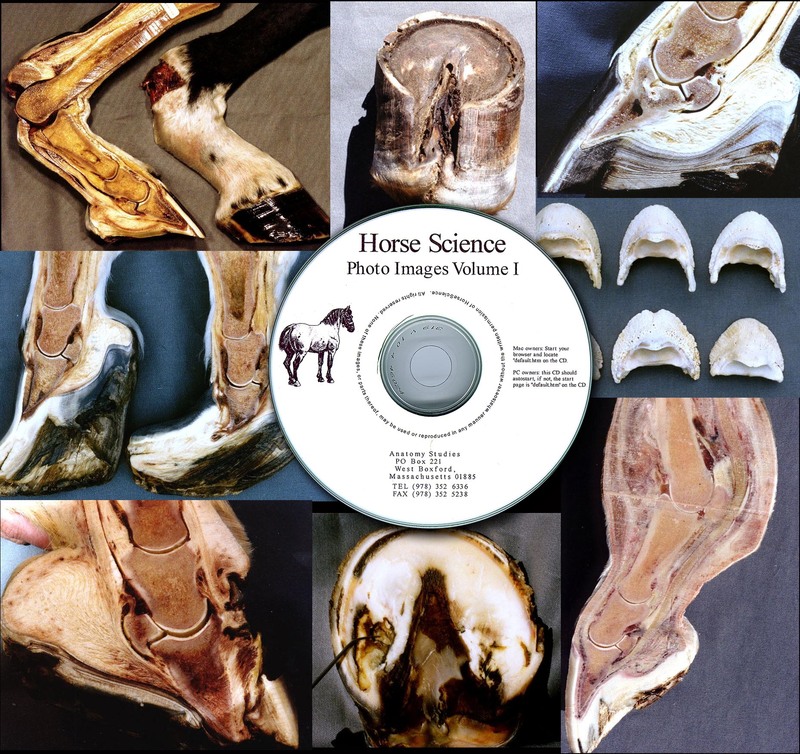 250 full color professional photographs of various hoof diseases and injuries, all views of normal hooves and lower legs, along with a bonus section on the equine skull. You can use these images to illustrate projects for personal use, for powerpoint slide shows, on your personal website for illustration purposes etc. This is the largest collection of high quality hoof images available. A vast variety of injuries and pathologies, some shocking and amazing. Images are for individual non-commercial use only, please include ©Horse Science credit if they are used where they can be viewed publicly. The CD works like a web page, so it's extremely easy to navigate. Mac + Windows, no special software required to view.